When we write covered calls or cash-secured puts, we are selling volatility. The time value component of a short-term option premium reflects the amount of time until expiration plus the volatility of the underlying security. Since most of us are comparing options with similar expirations, the volatility of the stock or exchange-traded fund represents the distinguishing factor in our option sales. In this article, we will review all aspects of volatility and bring this information into our world of option-selling. 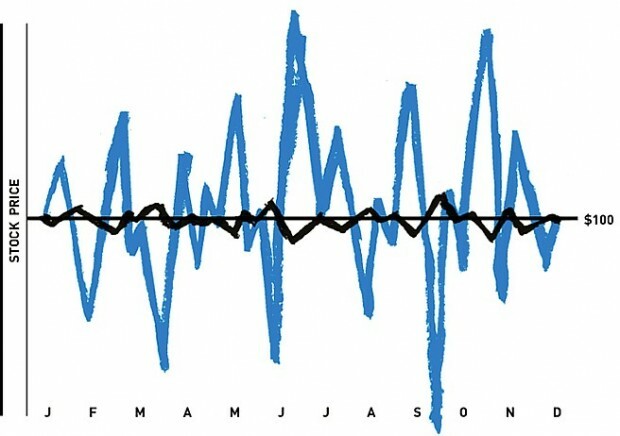 Historical volatility: The actual price fluctuation as observed over a period of time, usually one year. Expected volatility: This is a prediction of future price movement in either direction and is totally subjective. This is the least significant of the three types of volatility. Implied volatility: This is a prediction of the underlying security’s future price movement based on the option’s price in the marketplace. For short-term option-sellers, this is the most significant of the three types of volatility. An event like an upcoming earnings report can render the implied volatility much higher than the security’s historical volatility. An increase in volatility will increase the value of both call and put options and a decrease in volatility will cause a decline in both call and put premiums. Vega is the amount an option price will change given a 1% change in implied volatility. Let’s say that company BCI has an option value of $4.00 and a Vega of 0.06. The current value of one contract is $400.00. If the implied volatility increases by 1%, the option value for the contract will be $406.00. If the implied volatility decreases by 2%, the value of the contract will become $388.00, all other factors remaining the same. In-the-money options: Have the least amount of time value and therefore the smallest dollar and percentage changes. At-the-money options: Have the greatest time value and the largest dollar changes. Out-of-the-money options: These are all time value and therefore the highest percentage changes. As covered call writers and sellers of cash-secured puts, we are selling volatility. For our short-term positions, implied volatility is the most most significant of the three types of volatility because it reflects the current market assessment of future price movement of our underlying security. A great starting point for incorporating volatility into our trading decisions is to set return goals based on personal risk tolerance. A conservative starting point may be 2-4% per month for near-the-money strikes. Extremely high or low implied volatilities will not meet this standard. Goals can be tweaked based on your objectives and risk tolerance. Once size does not fit all! Because in a 100 day chart there was a “W” formation and it hit that amount 3 times already. Knowing it’s about the end of the year, people will be cashing in on this bullish scenario. A special thanks from me the entire BCI team to our premium subscribers for making these reports and tools a success beyond our wildest dreams. For the week, the S&P 500 rose by 0.95% for a year to date return of 1.96%. BCI: Cautiously bullish using an equal number of in-the-money and out-of-the-money strikes. I will remain cautious but fully invested until after the December Fed meeting. I know that your news letter services goes a long way to finding the suitable candidates for CC & CSP. using this list as a primary CC and CSP stocks , does the bluecollar then further analys this list using high IV stocks? Also, does the list take into consideration the IV rank ( percentile)? We provide IV stats for the eligible ETFs. For the stocks you can use the column titled “beta” to locate stocks with high betas and those are more likely to also have higher IVs. Options chains must ne checked to get precise premium returns which are based primarily on IV. I always try to follow your indication in the summary, where you say if you are bullish, or bearish, or cautiously bullish, and you are favoring ITM or OTM strikes. But most of the time, when I am not frankly bullish or bearish, I find the ATM or slightly OTM strikes very atractive, and I noticed that you do not mention them in the summary. Why is that? I view ATM and OTM strikes as bullish approaches to covered call writing. When I write that I am favoring ITM strikes 2-to-1 that means that in my portfolio I am selling 2 ITM strikes to every 1 either ATM or OTM. Stated differently, I am assigning percentiles to strikes that have or don’t have intrinsic value. This mix may or may not coincide with the assessment of others. As a build on Roni’s question do you apply your ratio within securities, between them or perhaps both? Meaning, in the reply above if you had 300 shares of BCI would you sell 2 contracts ITM and 1 ATM/OTM? Or if you had 3 stocks would you cover 2 ITM and 1 ATM/OTM? It never ocurred to me. I always took for granted that Alan meant different stocks. From now on I will look at it in both ways. It’s curious how each individual has a different approach to the same situation. I favor OTM strikes for stocks with the strongest technicals and ITM for those with mixed technicals. These are guidelines so we shoot for approximations…same as cash allocation per position. There’s our 2-to-1 ratio…again it’s a guideline. The technique that Alan discussed is called “Laddering” and this has been used for decades in the fixed income world to maintain a flow of interest payments to the bond holders. 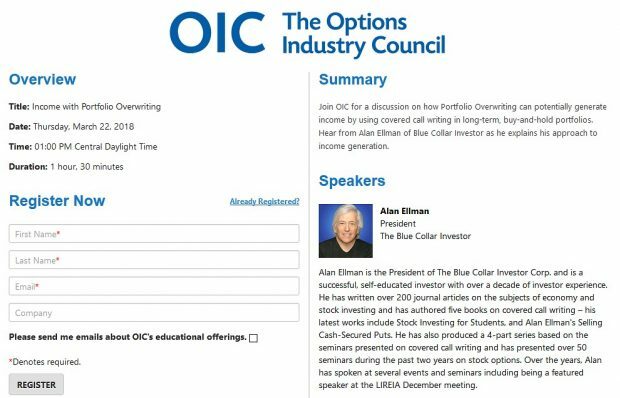 Options traders have picked up the methodology and have added it to their trading tool kit. As Alan reminds us all, diversification is critical. By laddering strike prices in our trades, we are adding an additional element of diversification. It is nice to hear your voice on the blog since I suspect you are the “Man behind the Curtain” in this band :)! Alan is the lead singer but I doubt he could do it without you! You are 100% correct. Barry is an amazing talent and a vital part of the BCI team. He is responsible for producing our weekly stock reports and does so with incredible accuracy and reliability. I am blessed with a skilled and dedicated team which, along with our members, have put BCI on the financial map and yes, I could not have done this alone. your clarifications opened my eyes and helped me to better understand the full strategy of diversification. This week’s Weekly Stock Screen And Watch List has been uploaded to The Blue Collar Investor Premium Member site and is available for download in the “Reports” section. Look for the report dated 11/06/15. 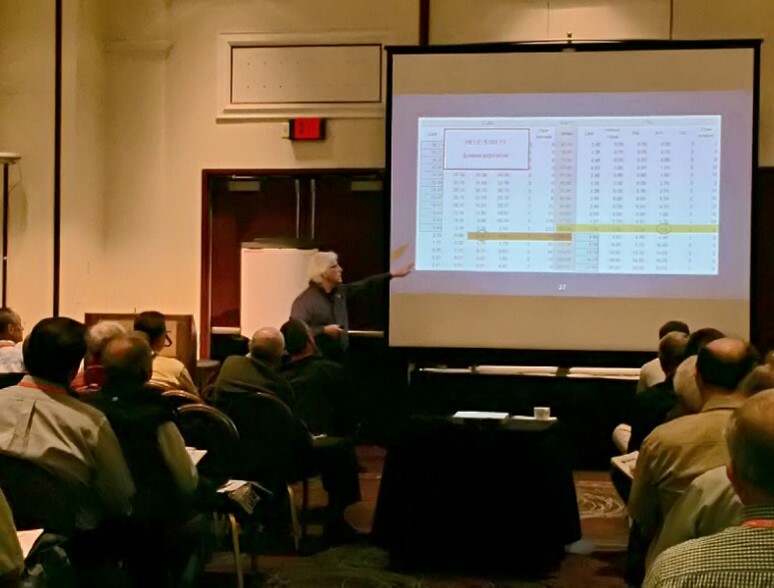 Several members of the BCI team and I just returned from a 3-day event in Las Vegas where I hosted a presentation for the American Association of Individual Investor’s (AAII) national conference. It was especially rewarding for us to meet so many of our members in person. I hope you enjoyed my presentation and thank you for filling every seat in the seminar room making me look good! I will be catching up with member emails and comments by the end of the week and will be making announcements of additional seminar invitations I will be accepting for 2016. Click on image to enlarge & use the back arrow to return to the blog. I would be interested to view the recording of your LV presentation, if one was made. The good news is that the presentation was recorded. The maybe-not-such-good-news is that as an invited speaker I have no control as to when the seminar will be made available and what the cost will be to view. When it does become available it will be on the AAII site (www.aaii.com). I will publish information about the recording to our members when I get updates from the organization. This was a new seminar I wrote specifically for the event so I’m discussing with my team the possibility of hosting a webinar for our members and sharing this new presentation with the BCI community. Note how all the high implied volatility (IV) securities from last week’s list were “bumped” this week confirming that high IV means higher option premiums but also greater risk. All ETFs on this week’s report have IVs under 24.